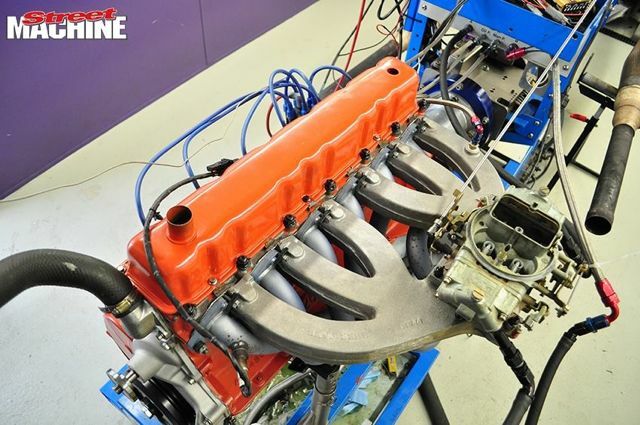 Aussiespeed manufacture a range of performance products for Valiant Chrysler Hemi 6 cylinder 215, 245, 265 engines.Aussiespeed Performance Products have been used on street cars and race cars through out Australia and we have continued to further develop our range to give the modified car community some of the best aftermarket performance products available for the 6 cylinder Chrysler Hemi engine. 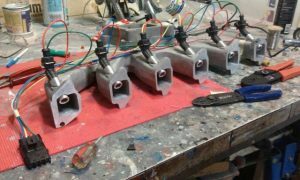 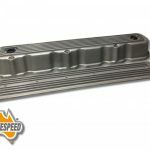 Over the years extensive research on the flow bench, dyno and race track with assistance and feedback from customers and engine builders has allowed Aussiespeed to continue our range of intake manifolds and dressup gear. AS0265 and AS0298 are the 2 current model short runner Aussiespeed 4 barrel manifolds available. The AS0089 long runner manifold has been through many development changes. 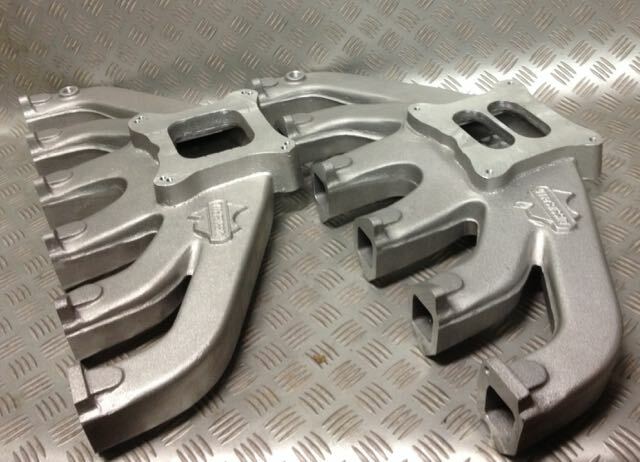 The AS0033 suits Weiand 142 and 144 superchargers and can also be fitted with the AS0139 twin 4 barrel adapter. 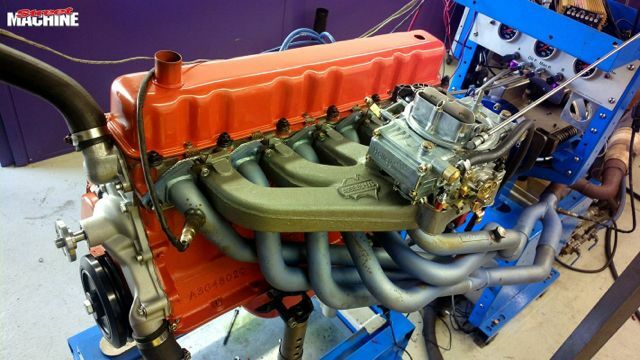 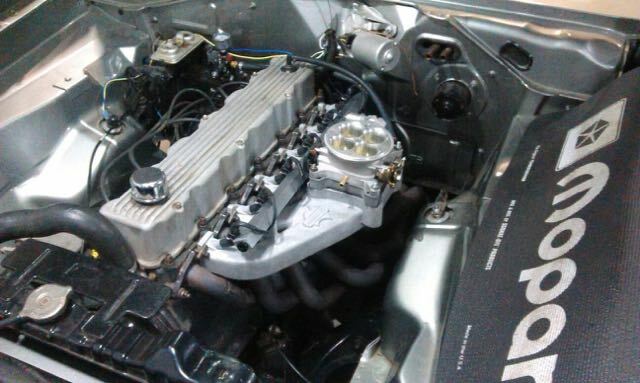 Hemi 265 fitted with AS0298 tall plenum manifold. 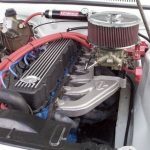 The supercharger kit only has the carb and air filter sticking out the bonnet. 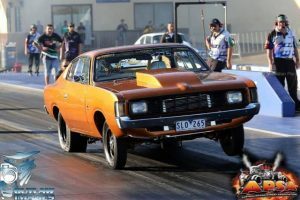 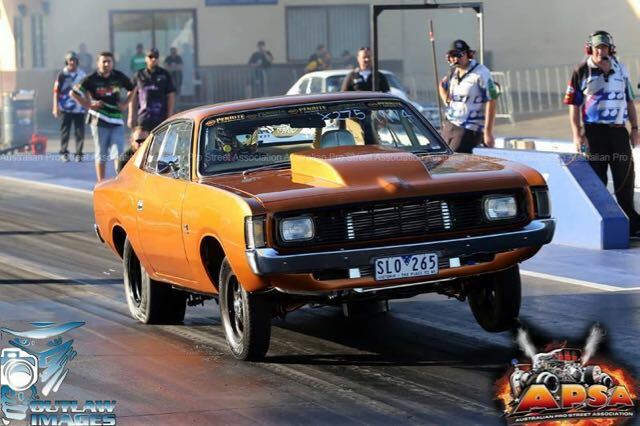 Photo from Street Machine magazines Hemi 6 manifold dyno shoot out, Aussiespeed took out the top 2 spots when 2 of our 4 barrel manifolds were tested. 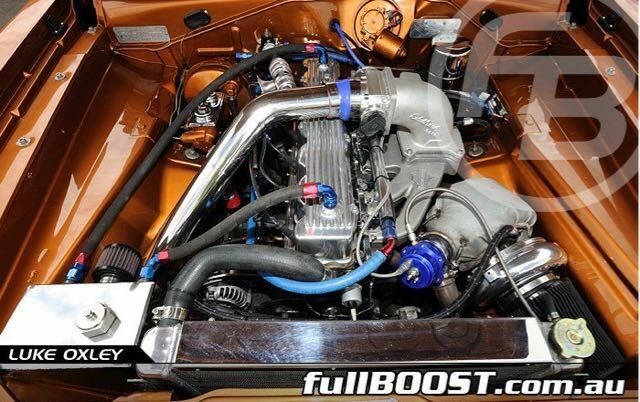 Aussiespeed AS0089 long runner is a great manifold on certain engine types. 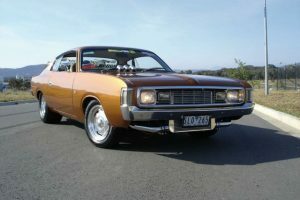 Note the manifold is not suited to all engine types and Valiant body styles. 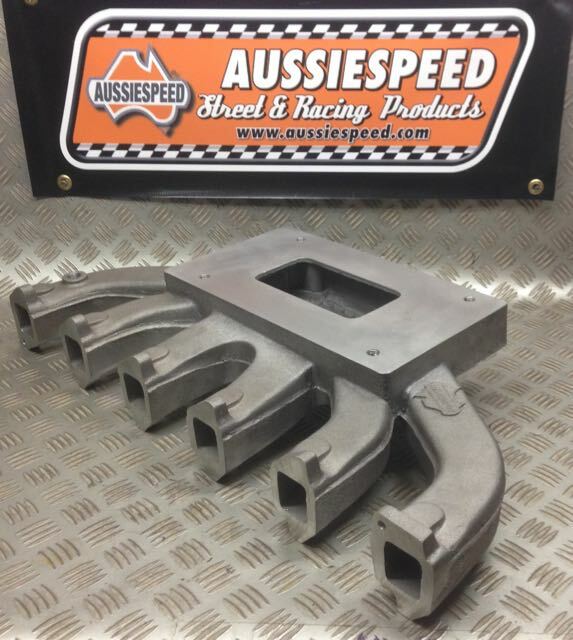 Aussiespeed AS0190H steel bat wings have a smaller radius for our Hemi 6 manifolds as the runners are larger than standard. These can save a few hours of grinding factory tabs or manifold runners. 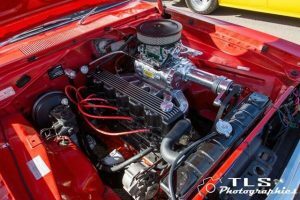 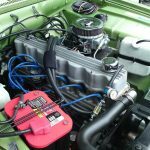 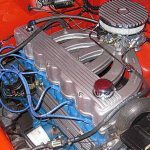 The AS0298 4 barrel Aussiespeed Hemi 6 manifold has a taller plenum and is supplied with the carb pad drilled for both north/south and east west carb mounting. 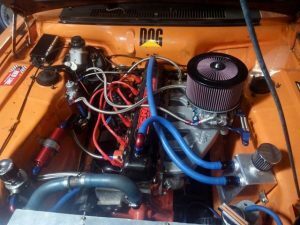 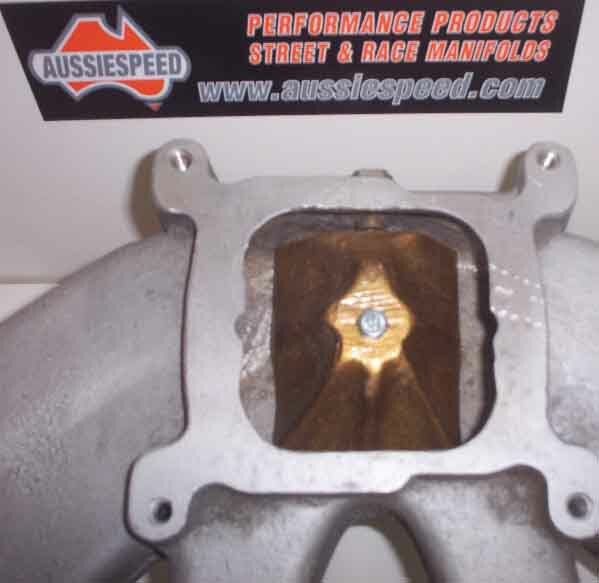 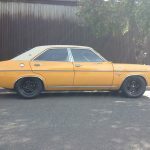 Aussiespeed developed the AS0084 plenum pig for the Cain Hemi manifold, on back to back independent dyno tests gains between 20 to 30 horse power have been seen and a large jump in torque. 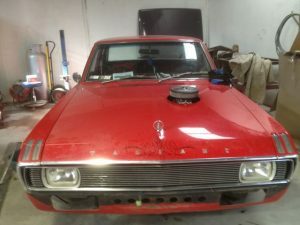 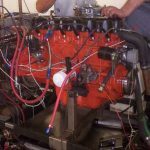 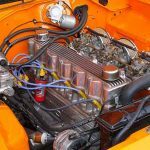 The Turbo Charged Charger uses an AS0265 and has run a 10 second pass down the quarter, The manifold has been drilled to accept fuel injection. 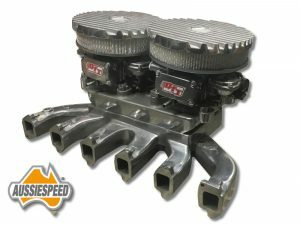 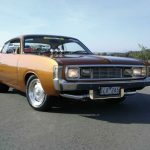 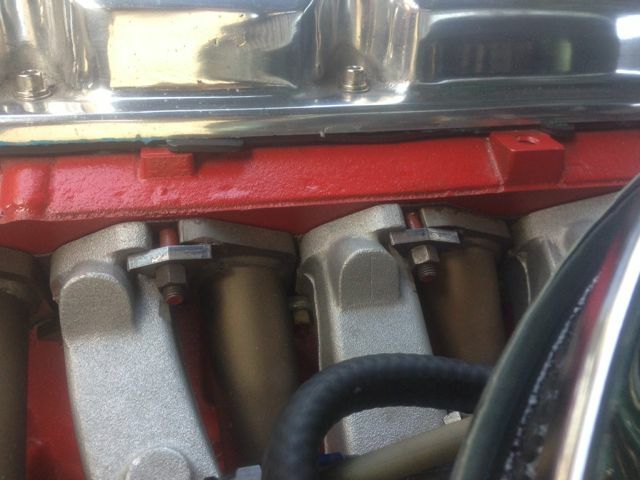 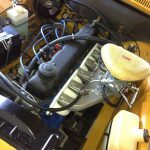 The Aussiespeed alloy rocker cover has been modified to accept additional rocker cover fittings. The AS0265 Hemi 6 manifold has been used on both carburetored and throttle body fuel injected engines. 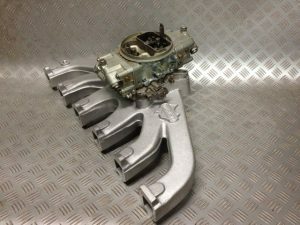 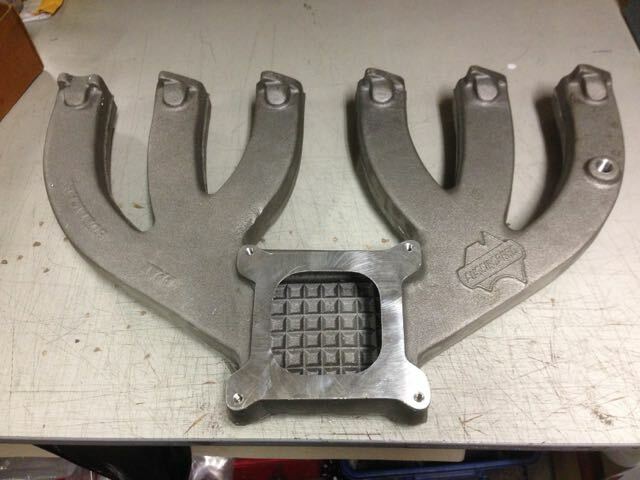 Pictures from a customer fitting his own EFI bosses. Picture shows the manifold fitted and 4 barrel throttle body fitted. Another option for Hemi 6 guys is out Dual Quad induction.